Asset Management Strategy can deliver significant fire safety and other benefits during the Asset life cycle. The Project Initiation Route-map is assistance to strategic decision making throughout the lifecycle of a project. It supports the alignment of the sponsor and client capability to meet the degree of challenge during initiation and delivery of a project and pave the way to effective operation. It provides an objective and structured approach to project initiation founded on a set of strategies and assessment tools. 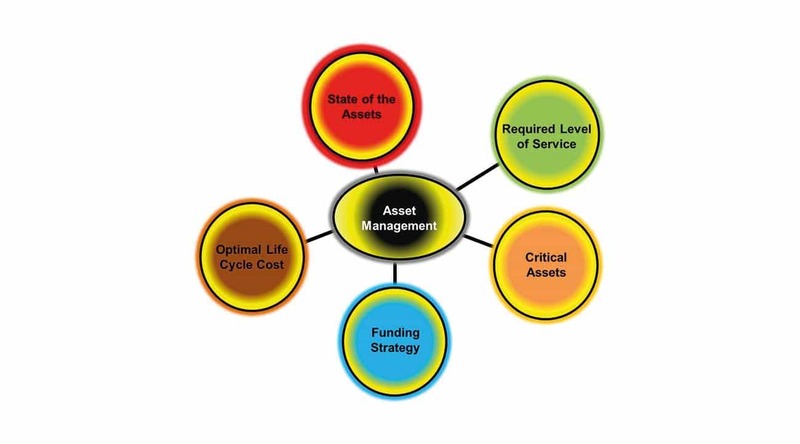 Application of the Asset Management Strategy helps to ensure that the project not only delivers working assets at handover into operations, but sustainable, longer term benefits and managed asset risks through the asset life-cycle. Intelligent Asset Management is the optimal lifecycle management for a system of physical assets including buildings/structures in order to achieve the defined strategic business objectives. 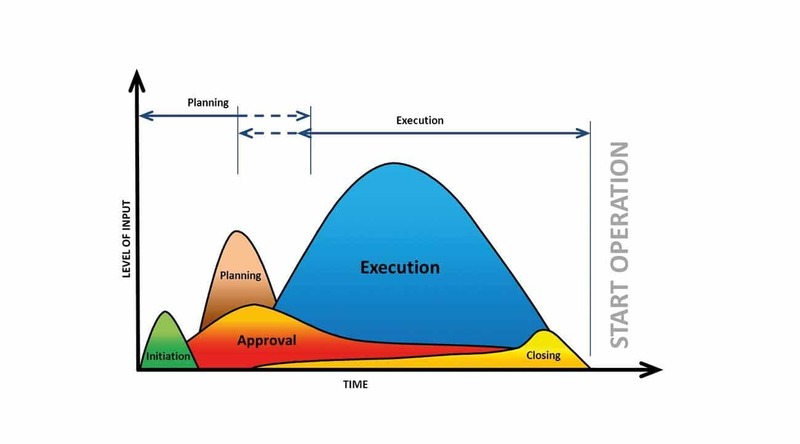 Too often decisions are made during project initiation and delivery that lead to inadequate end-user service or higher than anticipated operational and whole-life-cost to assets that are not required or that never deliver what was required or that pose unforeseen business risk. In light of this comes the Asset Management Strategy that sets the high-level strategic framework for managing project assets effectively throughout the whole-life-cycle of a project. It guides the future strategic decisions to ensure sustainable and efficient assets portfolio that adapts to remain fit for the future and support frontline delivery of project objectives. Whether it is a new development or an existing running development, the adoption of an asset management approach has long been recognised as an effective way in which to manage developments with all the attendant demands, aspirations and responsibilities. Such an approach enables the most efficient and effective resources in order to meet the identified service level, whilst fulfilling legal obligations, stakeholder needs and safeguarding the engineering and operation integrity of the development. Within the core business objectives, typical Asset Management Plan covers areas such as Asset Value, Life Cycle Management, Sustainability, Integration of Technical & Financial Plans, Performance Management and Risk Assessment. In the heart of this sets the fire safety risk level as one of the main risks that can severely impact the business continuity. As part of the planning stage of a project, the Asset Management Plan should be developed to the sufficient level of details in order to be reflected in the design process. Traditionally, Fire Safety Strategy and Fire Safety Engineered-solutions take place at initial building design stages and take into account the relevant applied code and standards but also the use and function of the building. However, it is recommended that a relevant version of the Fire Safety Strategy should take place in the Project Planning Stage during the development of the Asset Management Plan. By doing so, the project team can achieve a desirable level of integration between the Asset Management Plan and the Fire Safety Strategy during the Project Design Management Stage. In return, the design team can bridge any potential design gaps with the fire engineers more efficiently during the Project Design Stage and ensure that the Fire Safety Strategy does not provide unacceptable and unworkable management conditions on occupation. During operation, careful consideration must be given to the ongoing management of the building when completed. The design team should avoid any complexity or inappropriate measures for the sake of aesthetics or convenience to the design that become unmanageable in fire safety terms on occupation. Operationally, it is not desirable to provide features with sole reliance on Fire Safety Management as an alternative to resolve issues in the design of the building on occupation. If the development encompasses several buildings, consultants should discuss the Fire Safety Strategy in relation to the project Asset Management Plan at the Project Planning Stage in order to achieve an integrated overall site planning and design criteria that ensure the new building will interface with existing buildings procedures and strategies. Refurbishment projects should include an overview of adjoining premises and building interfaces in line with the Asset Management Plan. The outcome of this is a Site-wide Fire Safety Strategy that interrelated the fire safety aspects between all buildings holistically. The RIBA Plan of Work organises the process of briefing, designing, constructing, maintaining, operating and using building projects into a number of key stages. It details the tasks and outputs required at each stage which may vary or overlap to suit specific project requirements. Fire Safety Strategy and Fire Safety Engineered-solutions must be addressed as part of the Project Planning Stage and developed throughout the same process in order to maintain the required level of design and operation integrity. The Fire Safety Strategy for the new building/development must be a dynamic living document that reflects alterations and changes to the design process of the building throughout its construction, right through into practical completion and thereafter during the building operation and maintenance as part of the Facility Management Plan. Consultants and fire engineers need to tender their services on this basis and not just for the building design regulation approval. In addition, the strategy document should be utilised as the basis of the building’s Fire Risk Assessment and Fire Safety Management when operated. Once the Fire Risk Assessment outcomes are agreed, any new measures or alteration must be reflected in an updated Fire Safety Strategy document. Furthermore, it acts as reference document and benchmark in respect of fire safety regulatory compliance throughout the building’s lifecycle. Fire strategy document is to be finalised and reviewed at handover of building project and updated where necessary and based on the project as-built drawings and documents. It is imperative that a copy of the Architectural Design Report at RIBA Stage D is submitted to the client/operator manager for overview compliance in line with the Asset Management Plan and operational fire safety guidance and standards. Moreover, discussion should take place for the design and general fire strategy at part of the Design Review Process in design Stage D with the Local Authorities and client/operator representative. This is to ensure that design concept will not present problems at handover, which may affect the project completion outcome or delay completion. Consultants and Fire Engineers should arrange meetings with all parties at Stage D to ensure issues and overview of project is acceptable. Building regulations requires that the person carrying out the work should give fire safety information to the Responsible Person not later than the date of the completion of works, or the date of occupation of the building or extension whichever is the earlier to be supplied by the Principal Contractor and Designers at handover. As part of the Operational Readiness Stage of the project, the client/operator Fire Safety Manager is provided with fire manual information in set of final as-built drawings marked up as Fire Officer’s Drawings. These drawings should detail the floor and general layouts in addition to the relevant fire safety information. In most cases, the Fire Safety Strategy will require some updates and alteration during the operational readiness. This version of the Fire Safety Strategy and the updated Fire Safety Drawings are of considerable use on completion and operation of the premises in terms of the fire safety management of the premises and the planned maintenance for the Facility Manager. It is also important to recognize that these drawings may be utilised by the Civil Defence (Fire Brigade) for their statutory inspection programme, operational contingency planning and form the basis of the Fire Risk Assessment. 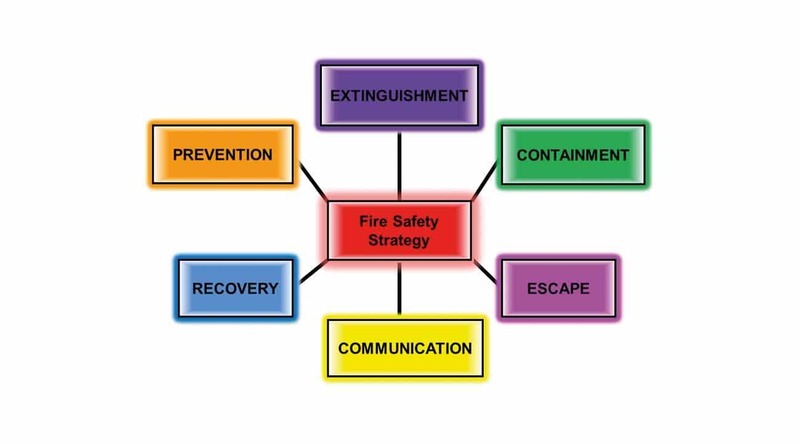 The method of operation of any system (cause and effect), whether active or passive, should also be clearly stated within the fire safety strategy.